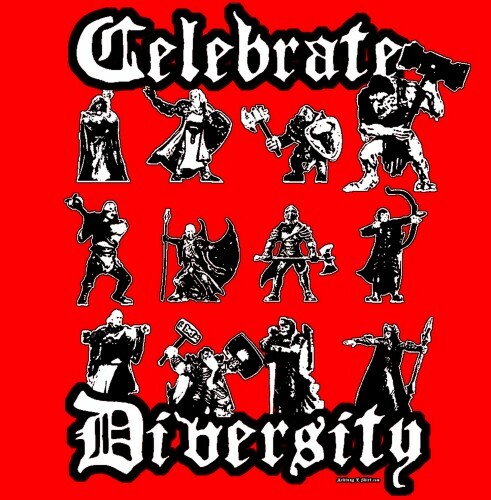 This shirt from achtung t-shirt made me lol. Sometimes you gotta kill that evil Orc warlock for his crimes against the halfling dominion and sometimes you just gotta party down with him! Notice there are no females in this picture. 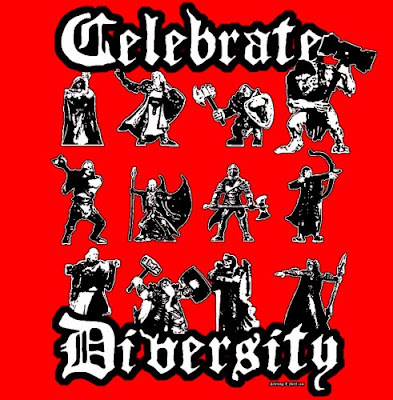 Not even a diversity D&D shirt will lie to you that much. It's not the highest quality print, but I dig the message. 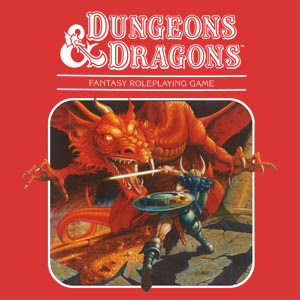 Next up (and also in the red theme that I just made up) is the OG design from D&D. You can find this one over at thinkgeek for just under $20. They have lots of sizes so you can prove your nerd cred no matter how Ogre (Large) or Halfling (Small) you may be. A bonus gamer wear for the week is this guy. 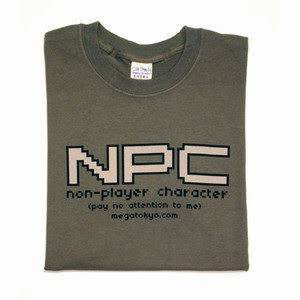 You can pick up this shirt from over at megagear. For only $15, you too can be the least important character in the story!! !